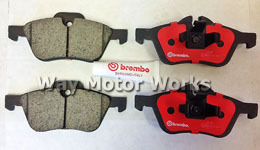 Brake parts for 2005-2008 MINI Cooper S R52 Convertible Supercharged. 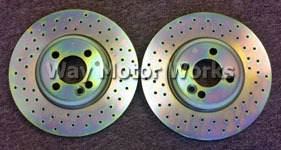 These parts include Brake fluid, Brake rotors, Pads, Stainless Steel brake lines, Brake pad sensors, Calibers, Caliber stiffening kits, Big brake kits, and ABS parts. 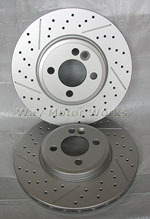 These parts are made by a variety of manufactures including EBC, Carbotech, Akebono, Hawk, Porterfield, Wilwood, Tyrolsport, JCW, OEM, WMW, TSW, and Goodridge.